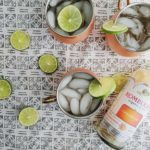 This yummy Ginger Kombucha Moscow Mule is a modern twist making a lightened up cocktail the perfect balance of sweet and boozy! It’s the perfect drink to get your party started! New Years Eve festivities are upon us! If you’re anything like me, you’ll be found sitting on the couch with this drink in my hand, underneath a blanket binge watching Planet Earth 2 and eating homemade cookies with my husband. My type of night! Although there is something special about New Year’s Eve. I always think of the movie When Harry Met Sally. I’ll try not to spoil anything for those who haven’t seen it but every time I watch the last scene at the New Years party, I cry! Maybe I’m just a big ol sappy romantic at heart. Sigh. Anyways, let’s get on to the recipe! Let me let you in on a little secret. I didn’t even know about kombucha until about a year ago. Sure, I’d pass the multi-colored drinks in the store many times – but I never stopped to browse. I figured they were just another drink full of sugar that was not in my grocery budget anyway. 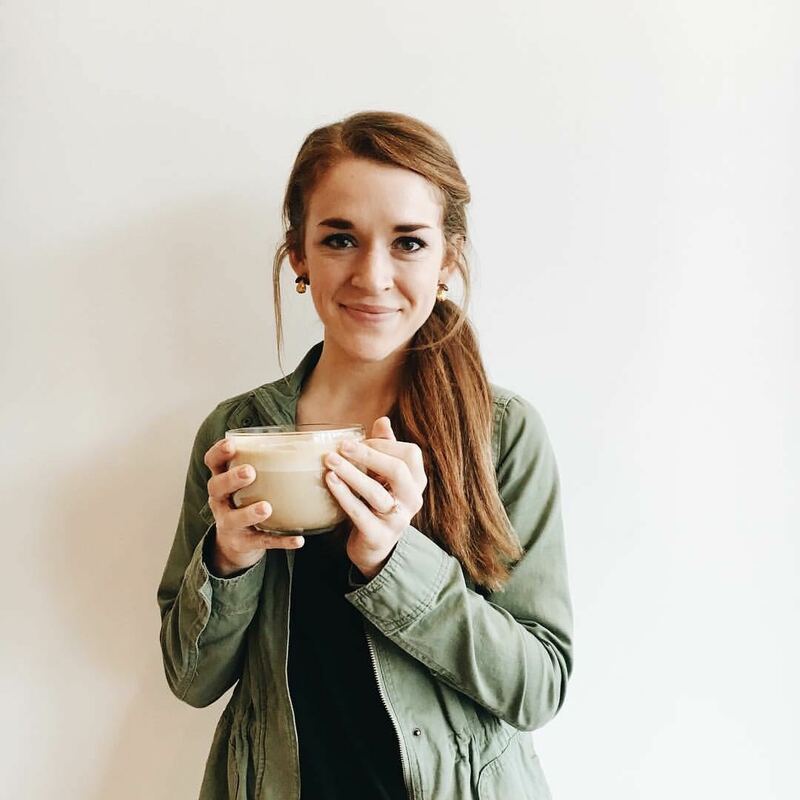 Then, lo and behold, kombucha became the GO-TO drink on social media. I saw it everywhere on my feed. So, being the millennial woman that I am, I knew I had to try it. After doing my research, I found out that kombucha is a combination of fermented black and green tea. It also contains A TON of probiotics, which makes it great for gut health! So, I headed off to that section that I always passed by in the grocery store. There were about a million different brands and flavors to choose from. Cranberry, strawberry, blueberry…the list went on. However, my eyes lingered over a flavor made by GTS called “Gingerade”. At the time, I had been on a real ginger kick because it has insanely awesome health benefits. So, after looking at the ingredients and seeing that there was no added sugars and so many health benefits, I BOUGHT IT. The deed had been done. I cracked it open in the car and was immediately taken aback by how fizzy it was! I was expecting some type of juice but it was carbonated. It tastes probably how you’d expect it to. It’s fermented – so you know there has to be a slight vinegary taste. However, the naturally occurring sugars in the drink really balance that out, making it a a smooth, delicious, fizzy beverage that you actually feel good about drinking! Score! So, for this New Year’s Eve, I wanted to try and create a kombucha cocktail. A healthier twist on one of the most beloved mixed drinks around – the Moscow Mule. 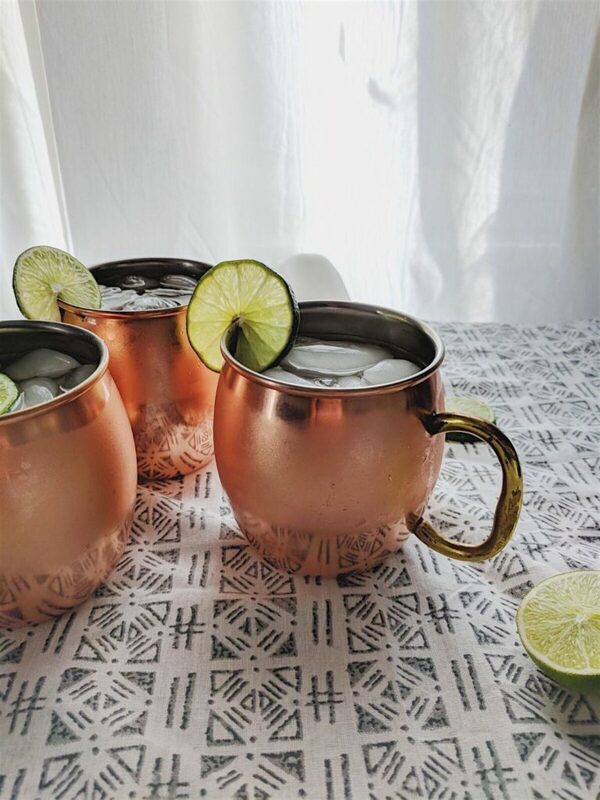 A classic Moscow Mule consists of 3 things: vodka, ginger beer (typically non-alcoholic) and lime. Now, I try not to count calories that often anymore – I mostly focus on sugar. Did you know that a 12 oz ginger beer has 48 grams of sugar?! 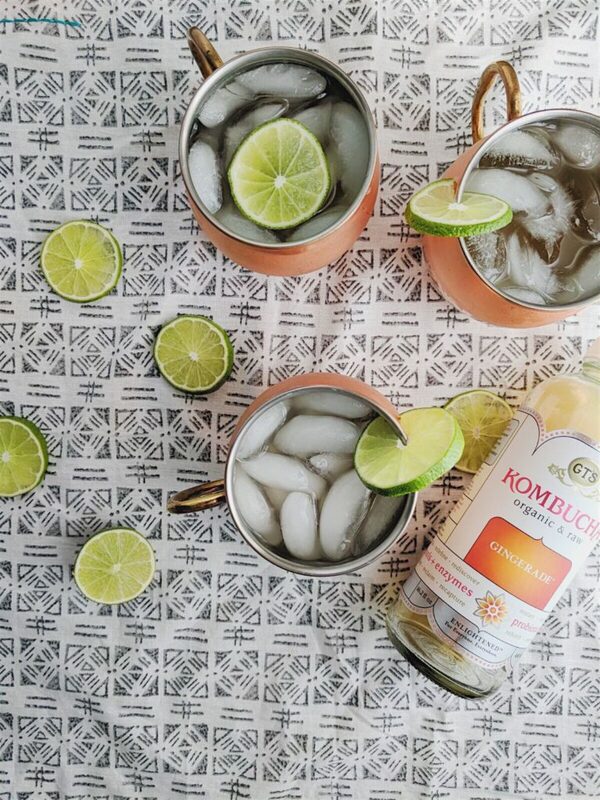 My version of the Moscow Mule consists of: vodka, ginger kombucha and lime. 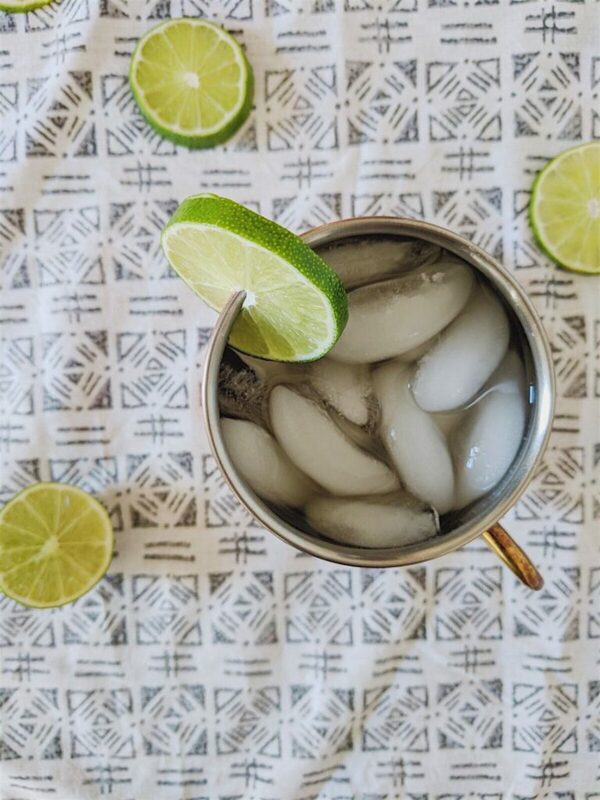 This lightened up Moscow Mule only has 2 grams of sugar! Cocktails for everyone, please! All of the elements of this drink truly work together well to balance each other out. The fizziness of the ginger kombucha pairs perfectly with the smooth vodka and the acidity of the lime. Did I mention this recipe is super easy? No shakers required. 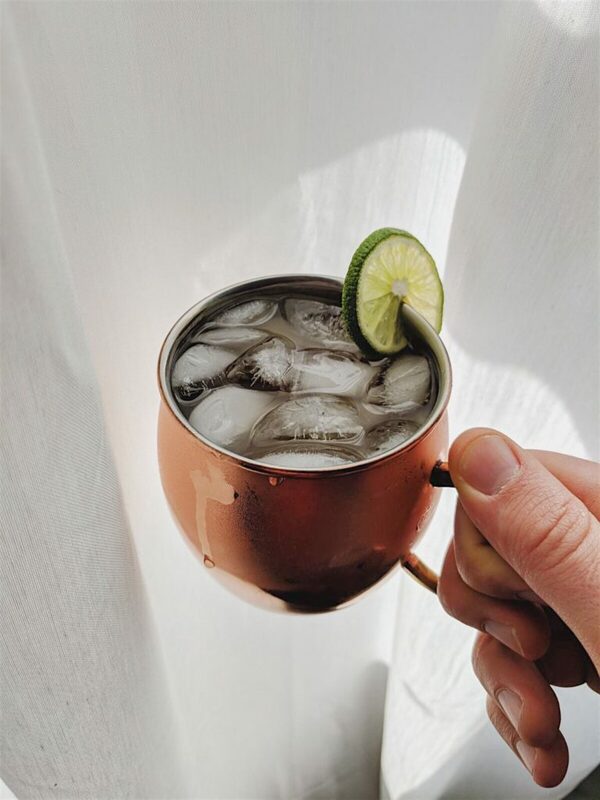 You just pour everything into a copper mug (or a normal glass), stir it with a spoon if you’d like, slap a wedge of lime on the side and you’re done. Or turn up some music and dance. It is New Years, after all! Kick it off it off with this delicious beverage and have a wonderful holiday! A lightened up version of the beloved drink - it's fizzy, smooth and delicious! Place handful of ice in a cup of your choice. 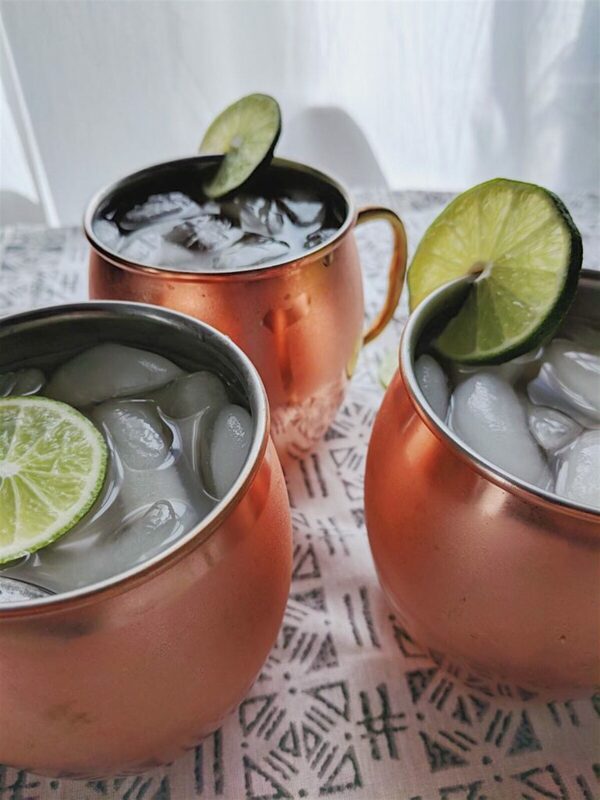 Typically, copper mugs are used for Moscow Mules. Add in the vodka, kombucha, and 1-2 tsps of freshly squeezed lime juice. I like lime so I added a little more, my husband preferred less lime flavor. Stir it around with a spoon. I had never tired that kumbacha, it sounds really good. And he low sugar is GREAT! Yes! It’s delicious. Low sugar cocktails make my heart happy!